UL - SANG MAO ENTERPRISE CO., LTD.
A nonprofit organization established in 1894 by the American association of fire insurance companies. Underwriters Laboratories (abbreviated to UL hereafter) conducts certification testing on all kinds of electrical products. In many U.S. cities and states, UL certification is legally required on all electrical items sold. 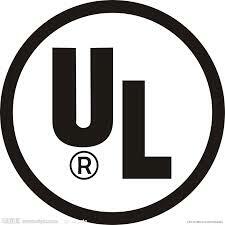 To obtain UL certification on an electrical product, all major internal components also require UL certification. UL offers two classifications of certification, the listing mark and the recognition mark. A Listing Mark constitutes the entire certification of a product. A listed product displays the top or middle mark shown on the left. (From 2013, the UL Listing Mark shown in the middle on the left was changed to the Enhanced UL Mark shown at the top left with a new design and name. The use of either mark will be recognized for a period of ten years.) The Recognition Mark applies to the components used in a product, and therefore constitutes a more conditional approval of a product. Recognized products display the Recognition Mark shown at the bottom. Use of the Recognition Mark is required only for specified parts (such as basic switches). From 2013, the UL Badge shown on the left is displayed in catalogs, in instruction manuals, on packages, and elsewhere for listed products. (For a period of 10 years, display of either the UL Listing Mark or the UL Badge is recognized.) Since October 1992, UL has been recognized as a CO (council organization) and TO (test organization) by the SCC (Standard Council of Canada). This authorizes UL to conduct safety tests and certify products conforming to Canadian standards. The above marks are UL marks for products certifying that the products meet Canadian standards.